Set your imagination free with Matit 3D Printing Pen. Works like a hand-held version of a desktop 3D printer. It extrudes heated plastic which instantly hardens, allowing you to literally draw freehand in 3 Dimensions. The possibilities are endless and only limited by your imagination. 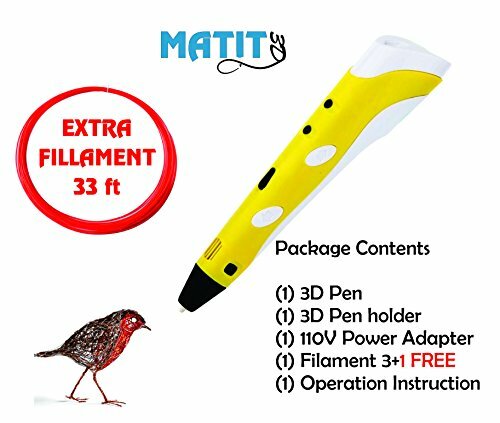 MATIT 3D Printing Pen is an upgraded and improved version of the popular 1st generation 3D printing pen. It features easy handling for freehand drawing, quick filament color changes and smoother extrusion for better drawing performance. Love it, very happy with my purchase.